Home News Tech Tip How Did Wikileaks Get Those Secret Cables? How Did Wikileaks Get Those Secret Cables? Wikileaks has become a huge sensation in the cyber, diplomatic, political as well as all the worlds which can possibly be imagined. So who gave Wikileaks those cables and how were those cables being stolen? This was a question many people wondered including me. Well here is a simple answer to a very complex question. Of course this sort of mass leak cannot happen without role of an insider. 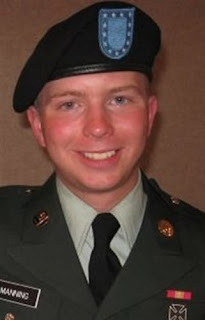 It is believed that US soldier Bradley Manning is behind most of these leaks. Now the big question is, How did he steal all those cables? Well the answer is simple. The US authorities trust for their soldiers which was also mixed with huge security lapse of giving unprecedented access to all the information when he was in the army. Cable here means Telegram conversations which are passed through cables between various embassies of US around the world. I might be slightly wrong but this is the best definition I could come up with. You won't imagine he used a simple USB Pen drive to steal the data. When he was in the army he had access to unlimited information so what he did was simple go to office with a USB Pen drive with Songs and Videos stored in it. The security used to check those and allow the USB in. Now once the USB Pen Drive drive was in he simply used to erase all the data on the USB Pen Drive and load it with the stolen cables. Then he started uploading those cables to Wikileaks website and here is how we got to see those cables. Bradley Manning is currently confined to a cell at a military base in Quantico, Virginia. I hope your curiosity is over by now. Source: I gathered all the information from various articles on web and News channels and put that all up in this article.